This is next level badass. So many Dark Souls vibes. Stuff like this just make me want a huge Glyos book of lore more and more. 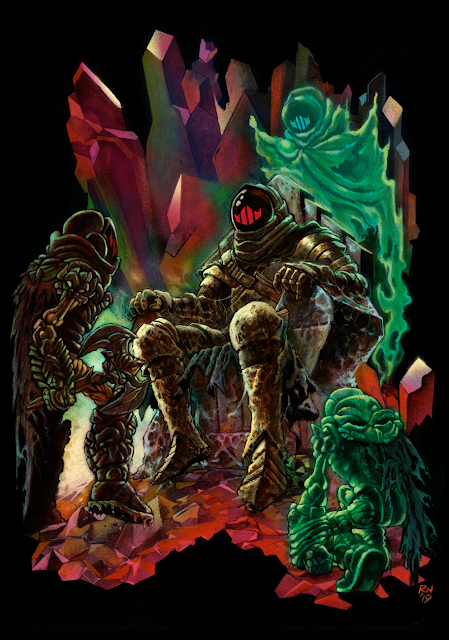 Enjoying the growing fantasy themes in Glyos; this painting takes me back to the 70's Ploog art for Lord of the Rings, ring-wraiths, tomb kings...such atmosphere! Matt, can we get this artwork in shirt or hoodie form?